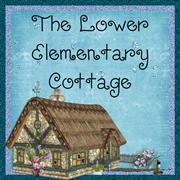 The Lower Elementary Cottage: Apples! Apples! Apples! 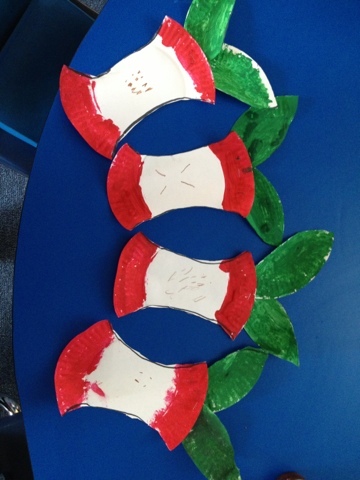 Our apple week was a big success. The kids were super excited to do each of our little projects. 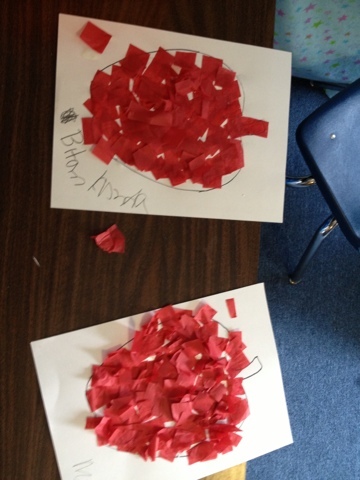 One kid asked for another apple art project so I brought two ideas yesterday and we ended up doing both of them. Then the kid was very disappointed when we we're painting WITH the apples this time, we were just painting something to LOOK like the apple. Apparently the apple stamps the other day were an even bigger success than I realized! 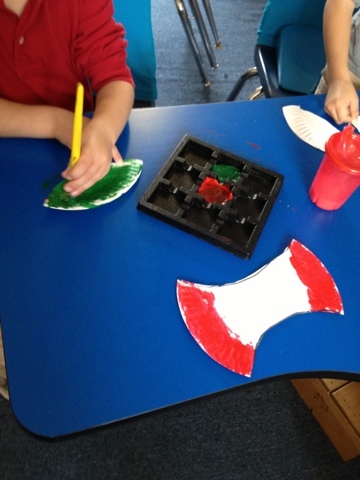 This time we made apple cores out of paper plates (thanks Pinterest!) and then tissue paper apples. 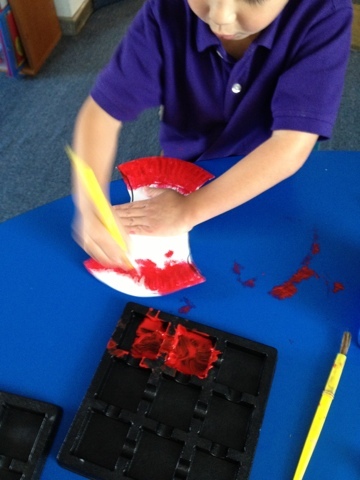 The tissue paper was still wet when I left school, so I'll cut them out on Monday. Next week I'm going to attempt to do two pocket books at once for my Halloween unit. The kinder kids will be doing a Halloween pocket book with fun coloring, cutting, and writing activities to work on fine motor skills. At the same time my 1st/2nd kiddos will be doing a Night Creatures pocket book to learn about nocturnal animals (bats, owls etc. ), compare and contrast them, and talk about habitats. I like the idea of the little guys learning it too, but the materials are too hard for them to read/understand. I figure I can have the 1st/2nd kids present what they learned to the little guys. That's the theory at least...kids with autism don't always cooperate when it comes to sharing ideas (not because they don't want to, but the comprehension and expression aspect are a HUGE challenge for them). On a personal note, a wonderful teacher left our school yesterday. She's been a wonderful friend and colleague and it's sad to see her go. She does a huge amount of work behind the scenes, and she's just a great person in general. She finished her administrator credential and has a new position using her new certification. Anyway, on to my point...She wrote me a very nice note that I decided I'd share a snippet with you. "It's damn near possible you are one of the strongest women I know [...] You single handedly turned around the kindergarten and Lower El program." It was such a wonderful note to receive! When I took this position I didn't even have a reading curriculum and the class was a loving place, but more like babysitting center than hard-core teaching. I got a bit of grief when I started about all the things the old teacher did, that I should do too, but didn't. I actually hated the imaginary woman in my head (the old teacher) and when I met her this year I discovered she's actually a very lovely person! It's taken a lot of work to get the K-2 system running with all the kids working at the appropriate grade level and only 1 teacher. Rarely does anyone set foot in my room, so I don't get a lot of feedback about my teaching. My little cottage is in a little corner of the campus, so there isn't much reason for anyone to come in. It was sooo nice to get a letter telling me what a great job I was doing! Sometimes teachers just need to hear that someone notices what a great job their doing, and the hard work really means something. 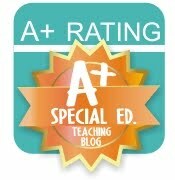 Take a minute next week and tell a colleague something they are doing really great! Spread the love! Thanks for the new follow, girl!! I love your painted apples!!! You've been Boo-ed!!! Head over to my blog to link up and join the party! !